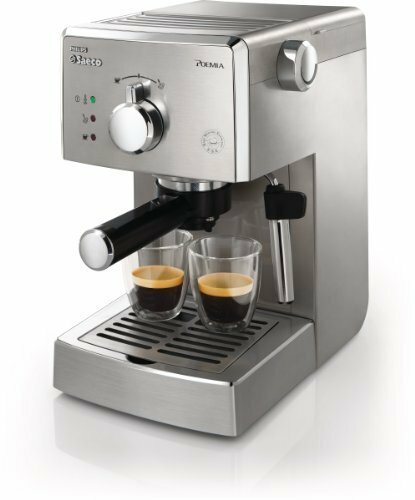 If you’re on the market for a new espresso machine, you may have noticed two of the biggest names in espresso brewing are actually under one of the biggest names in electronics: Koninklijke Philips (usually referred to as just “Philips”). So how do you choose between two prominent branches of the same parent company: Gaggia and Saeco? Well, that’s what we’re here for. Read on for a full-length break down on what to look for and the ultimate in-house showdown. Yes… and no- allow us to break it down for you. Founded by Achille Gaggia, who patented what is considered one of the first modern espresso machines, Gaggia is a respected Italian espresso machine manufacturer. Plus, as the founder of the crema craze, this company has been around for decades and is one of the top producers of espresso machines. In 1999, Gaggia was bought by the other company covered here, Saeco. 10 years later Saeco was purchased by Philips, a Dutch manufacturer. 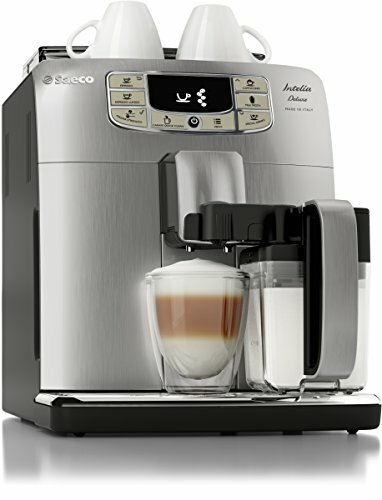 Responsible for the creation of the first super-automatic, domestic espresso machine, Saeco has been a small home appliance powerhouse since 1981. Additionally, to more firmly establish themselves in the realm of coffee, they purchased the historic company, Gaggia. Since July 2009, they’ve been a successful branch of Philips, a multinational electronics manufacturing company. 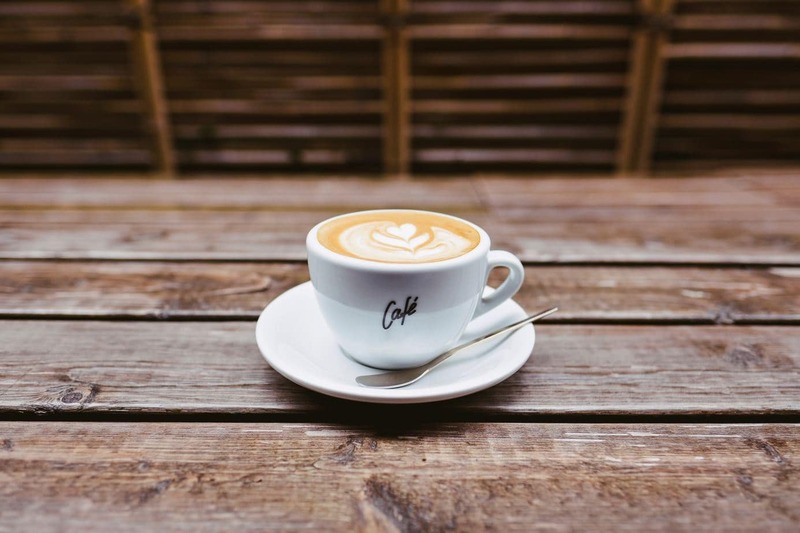 Because of the Seaco-Gaggia buy-out and the shared parent company, these espresso machine brands have several similarities. This semi-automatic espresso machine is one of the best ones on the market for first time buyers. Capable of brewing with your favorite grounds or ESE pod, this Gaggia model is one of the most user friendly machines you can buy. However, because it’s a semi-auto, it does not have a built-in grinder. As far as programmability goes, this little machine is pretty simple. It can pull a single or double shot with minimal effort. Further, you can alter the pressure on the Pannarello steaming wand for optimal frothing. Lastly, this model has a relatively large water tank for its brewing class at 72 oz. So if you already have a grinder or exclusively use pre-ground beans, this option is perfect for you. The simplistic beauty of this machine is, well, poetic. The Poemia is one of Saeco’s more budget-friendly, semi-automatic options. Overall, it pairs decent programmability with simplicity to achieve a sleek, user-firefly machine. Like the Gaggia model, the Poemia does not have a built-in grinder. However, you can opt to use wither your favorite ground coffee or an ESE (easy serve espresso) pod. The 15 bar-pressure pump allows this machine to get decently hot; however, there have been some complaints that it’s not hot enough. But with a stainless steel cup warmer, you should be able to get a pretty respectable cup of espresso. The only other downside we encountered is the durability. Because this machine is at the lower end of Saeco’s line, the parts used to make it are not entirely stainless steel, resulting in an overall less durable machine. 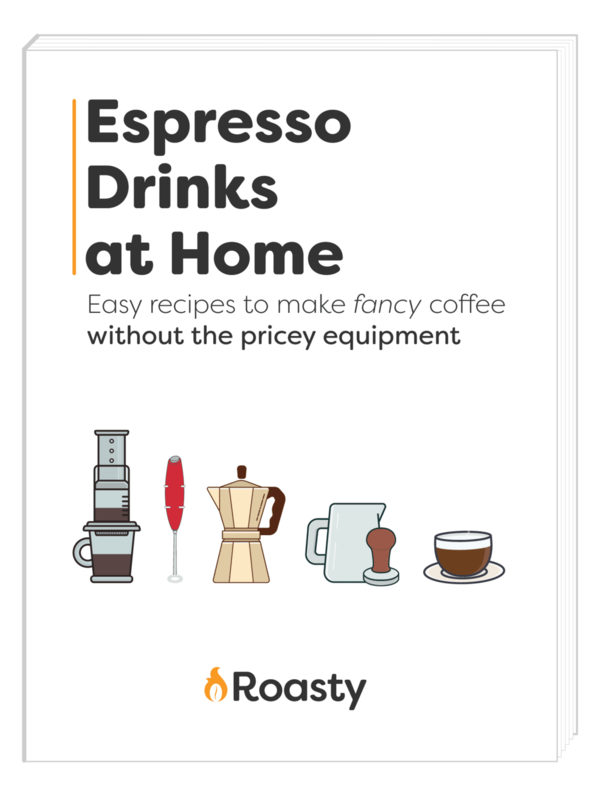 However, if you’re just a novice looking for your first machine to break into the world of at-home espresso brewing, this model should do the trick. Simple, programmable, and long-lasting, what more could you ask to find in your at-home espresso companion. To start, you can see the increased range of this machine’s capabilities. 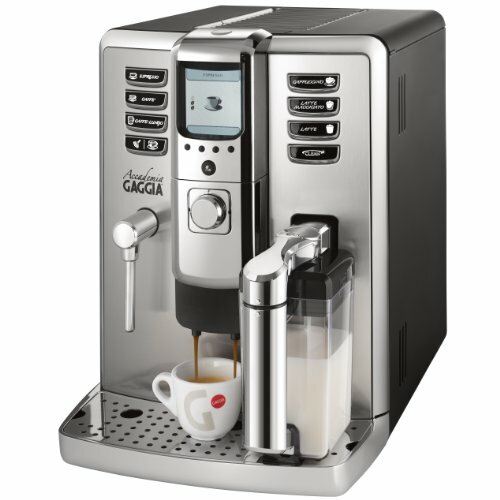 The brewing presets with dedicated buttons are: espresso, caffe, caffe lungo, cappuccino, latte macchiato, and hot water. Not to mention, you can save your own preferences. This machine has both a built in ceramic burr grinder (as we mentioned earlier) and a milk frothing system. These features allow you to brew drinks that are fresh and specialty respectively. Looking for a machine to really act as your ride or die for years to come? Consider the Intelia. Uniquely, this model is decked out with 5 different strength settings, an easy user interface, and a cappuccinatore attachment. The cappuccinatore is an automatic milk frother that can be swapped out for a panerello steam wand if that suits your fancy. Additionally, the Intelia Deluxe has 10 grinder settings, a 10.5-ounce bean hopper, and 53-ounce water reservoir, so you can brew plenty of your perfect cups before refilling. The durable ceramic grinder matches the one on the Gaggia model. The Intelia also features durable, ceramic grinders, which allow consistent water flow for the perfect grind. The included carafe can automatically froth your milk for you, meaning you can enjoy more complex drinks as easily as at a cafe. Also, this impressive machine has a removable brewing group that makes cleaning and maintenance simple. Because this machine is super-automatic, it can make 6 different beverages while you sit back and go about your routine. While this feature is exciting for those who want a machine that can do it all, it might not be the best choice for someone who wants a little more control over the actual brewing process. There’s even an auto-rinse feature for the brew heads to keep things tasting clean and fresh. Automatic machines are often criticized for not getting quite as hot as manual ones. The Gaggia branch, like De’longhi, has attempted to address this, and as a result, consumers tend to be more satisfied by their machines. For example, on some models, there is even an adjustable temperature option. This allows user to put their machines at the minimum (117.5 F), medium (182.9 F), or maximum (184.5 F) brew temperature. The main reason people opt for Saeco machines because of brand familiarity. Since it’s been around for a long time, Saeco was the beginner machine for many espresso lovers. However, because Gaggia was absorbed by Saeco and then Philips, the interface on the Gaggia machines is actually quite similar to the Saeco ones. So if you do switch, it should be a pretty smooth transition. One of the stand-out differences between these brands is the design aspect. 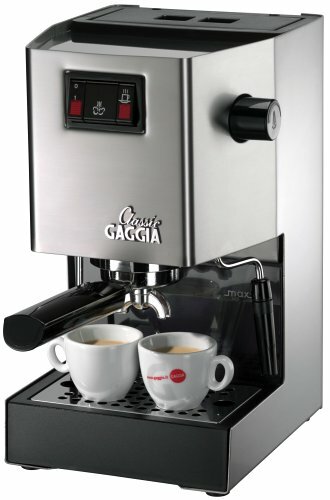 Gaggia machines, even at the lowest price point, have a sleek, often stainless steel aesthetic. So, even if your budget is pretty tight, you can get a professional-looking machine. On the other hand, while the mid to upper range Saeco machines have a nice look about them, you’re usually sacrificing that if you opt for one of the cheaper ones. Generally speaking, Gaggia machines give you everything Saeco machines will plus a few extras, effectively putting them on top. So even if you’re weary about making the switch, Gaggia probably has you covered.